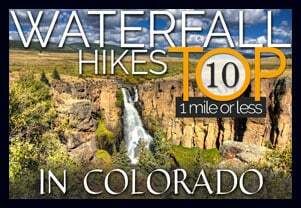 Whitmore Falls is a lesser known waterfall deep in the mountains of Colorado. But, it just a 1/10th of a mile hike from the pull-off along Engineer Pass Road. 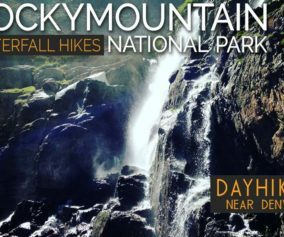 It’s a great destination hike for those vacationing in the Lake City area and are looking to combine a scenic drive with a short waterfall hike. 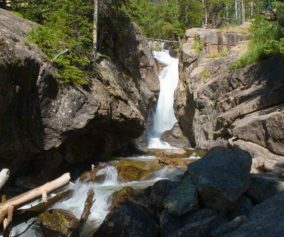 Explore the full Whitmore Falls hike profile below for trail map, driving directions, and all the details you need to enjoy this adventure near Lake City, Colorado. 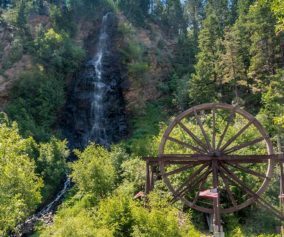 Whitmore Falls is off the beaten path, located about 1hr west of Lake City, Colorado along the Alpine Loop Scenic Byway. From Lake City, take 1st Street northwest, then a left onto the Alpine Loop Scenic Byway/20/Engineer Pass Road. This dirt road which follows Henson Creek is closed December through May. It may be closed or difficult to navigate depending on weather and how recently its been graded. Typically, it is navigable for 2WD passenger cars up to Whitmore Falls, but SUVs will fair best on this stretch of road. Beyond Whitmore Falls, the road requires higher clearance vehicles more suitable to the difficult terrain, and drivers who possess off-road driving experience. 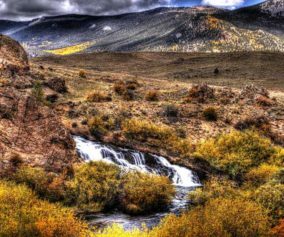 See the Colorado BLM site for more information on the Loop. Whitmore Falls is located approximately 11 miles West of Lake City, and about 2 miles after passing the Capitol City Landmark, a set of restored historic buildings. Take your time, the drive and the scenery is half the adventure. The parking area for Whitmore Falls is a small pulloff on the right/west side of the road. The falls trail should be marked with a sign on the opposite side of the pulloff. Because of the limited cell service in this part of Colorado, we advise that drivers not rely on phone-based map services that require a cellular connection. Take care in crossing the road to the other side where you can make your way down to the waterfall. The drive to Whitmore Falls is more harrowing than the hike. It’s just a short 1/10th of a mile from the roadside down to the falls. However, it is steep and the terrain is mostly gravel, much of it talus and loose scree. So, take care making your way down to the falls. Trekking poles will be a great aid in making it down the switchback trail to the overlook and to the falls. The trail can be located near the Whitmore Falls BLM sign. 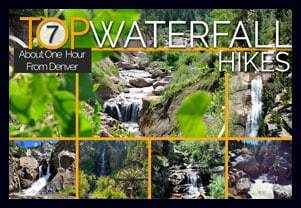 Whitmore Falls is a plunge waterfall that launches over 40′ from the rock cliffs surrounding Henson Creek. 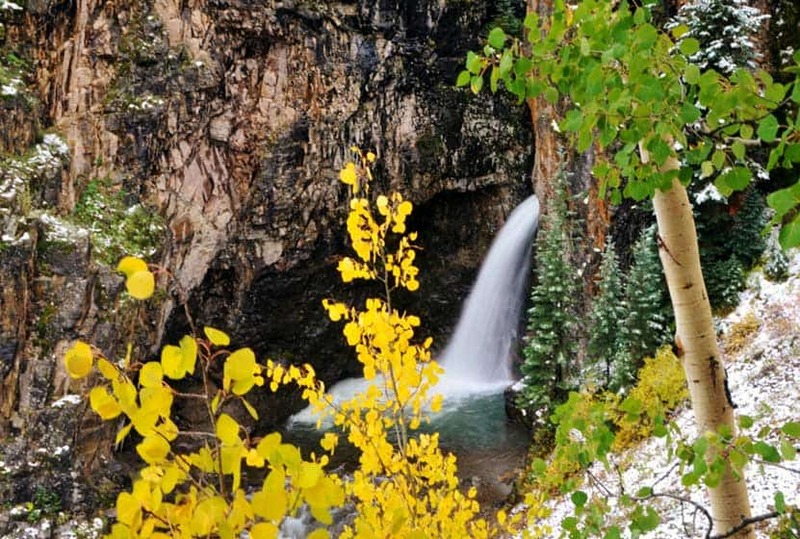 Depending on the flows of Henson Creek, the base of the waterfall provides close access for viewing the falls. TIP: Bring trekking poles to assist the short hike down the steep, gravel path. Take Your Time: Pack a picnic lunch, and enjoy the scenic drive. 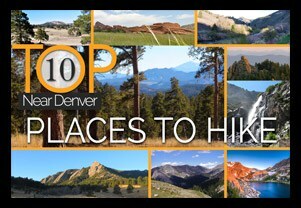 Hikers can stop and explore the Capitol City historic site before or after their visit to Whitmore Falls. Photo: We would like to express our gratitude to Dan Parker for sharing such an amazing photograph of this hike.